The natural ‘sugariness’ of the corn and the addition of a little bit of sugar make this a very sweet dish. It was just great served next to a mild flavored broiled pork chop. If you prefer less sweet, just leave out the sugar and this will still turn out a great side dish ! Preheat oven to 350 degrees. 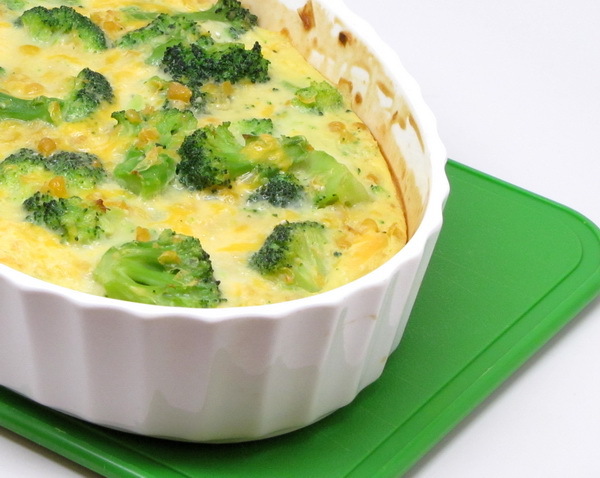 Combine corn, eggs, sugar, flour and salt and then fold in cheese and broccoli and place in a baking dish and bake 1 hour. Always a great side – such a nice change from a regular green salad ! 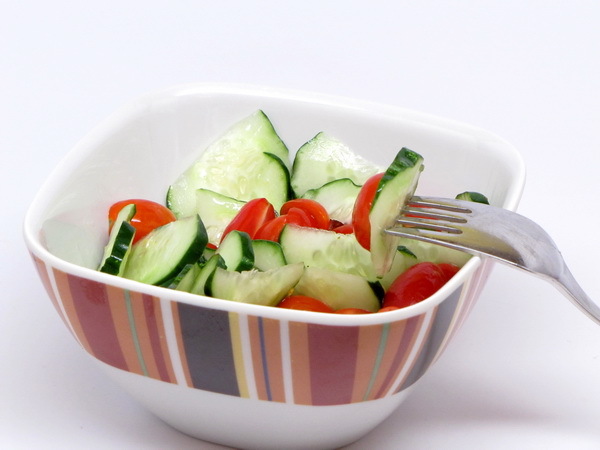 Arrange all veggies on a plate and drizzle with the dressing. 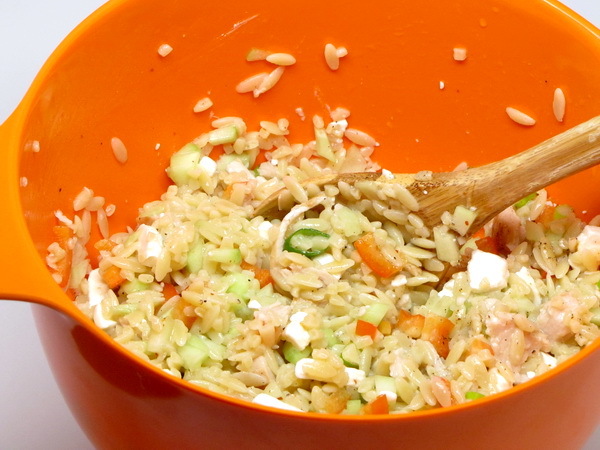 Rice and Veggies – Very Cheesy ! 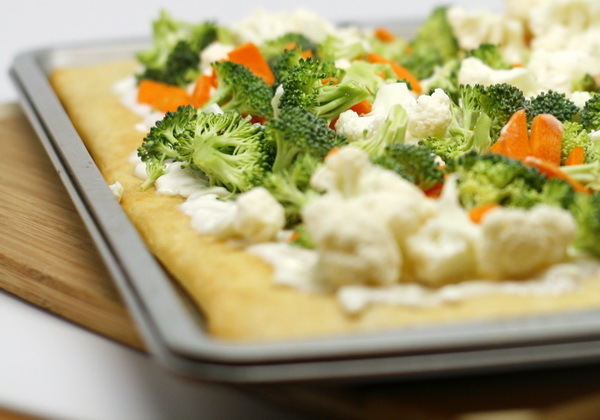 Another great dish where your veggies and your starch are all together in one place. This whips up quickly and is a great side to chicken and fish dishes. Preheat oven to 375 degrees. 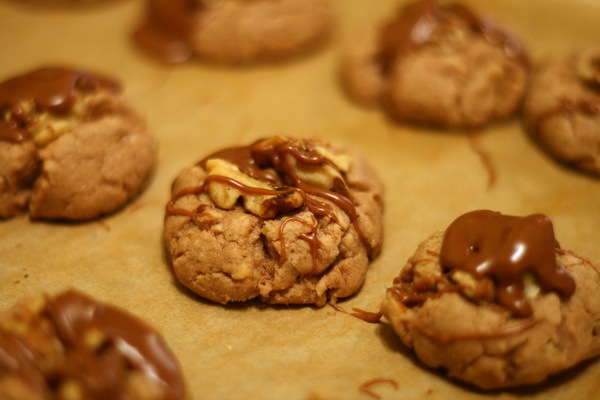 Combine the first 4 ingredients and press into the bottom of a 2 quart baking dish sprayed with Pam. Steam the broccoli, mushrooms, bell pepper and onion for 5 minutes. 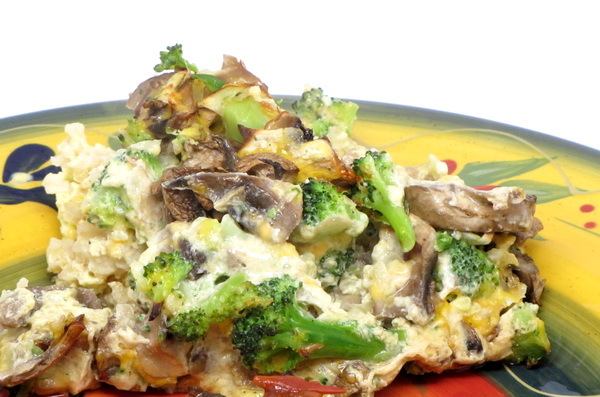 Mix egg, milk, onion salt and pepper and stir into the veggies and pour it all over the rice crust. Sprinkle with cheese and bake 25-30 minutes or until a knife inserted comes out clean. Take regular old store bought pierogi and turn them into a meal fit for a king ! 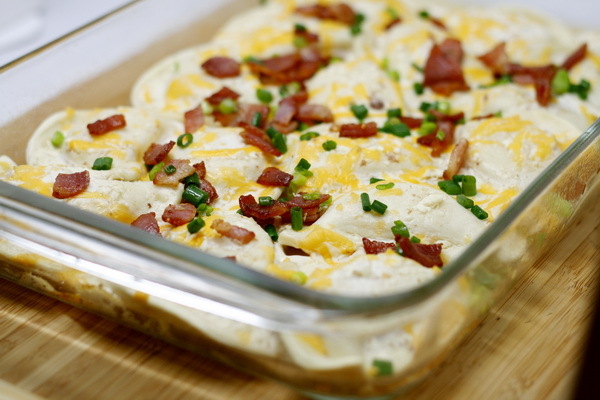 The cheese sauce on top of these is out of this world good when mixed with the potato and cheese pierogi filling. Preheat oven to 400 degrees. Place pierogies in a bowl and cover with hot water to defrost. Drain well. Spray 9×13 pan with Pam and add pierogies. Heat a skillet and cook the bacon the remove and set aside (crumble it when it is cool enough). Add garlic to pan and sauté 30 seconds then add cream cheese and cook 1 minute. Whisk in broth and then pour over the pierogies. Add the cheese on top and bake 20 minutes or until heated. When done, sprinkle with bacon, scallions, salt and pepper. This sandwich has so much flavor going on ! 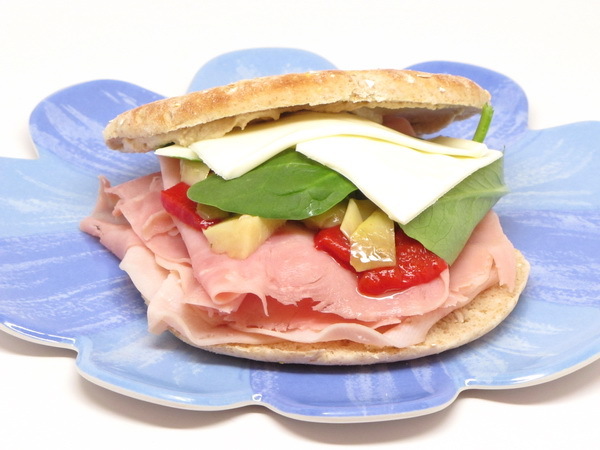 Artichokes, roasted peppers, ham, turkey – oh my ! Toast bread (if desired) then spread on the mayo. Top with meats and cheese, then the artichokes, peppers and arugula. 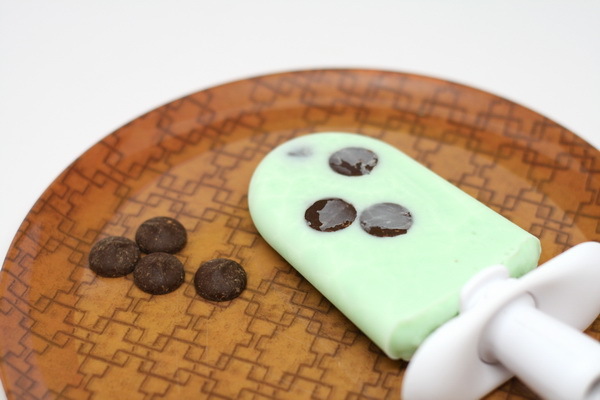 Farmer’s Market Fans Rejoice ! Second to cooking, my favorite thing is geeking out with my iOS apps. 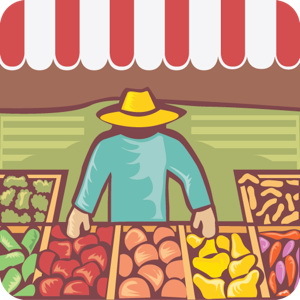 If you have an iPhone, iPod Touch or iPad, you have to check out a great app that brings the 2 together – – Farmers Market Finder. 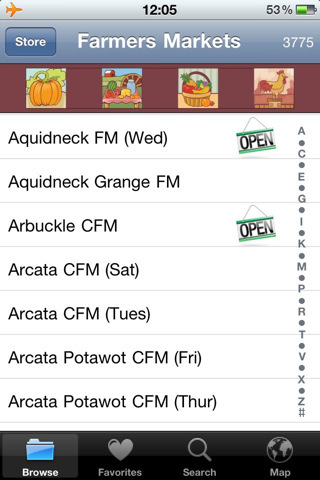 In the free version you get all the listings for California markets. 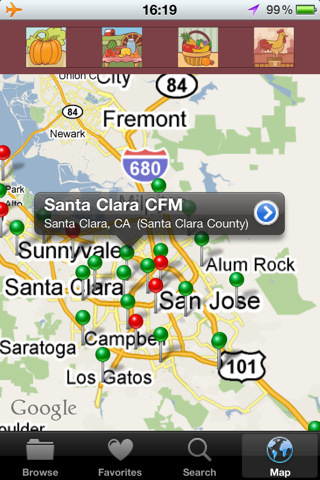 In the paid version, called USA Farm Fresh, you get listings in all states. Just visit the iTunes store or head on over to the developer’s site to download it now. 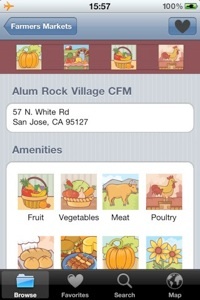 Get the app on iTunes or at the developer site.